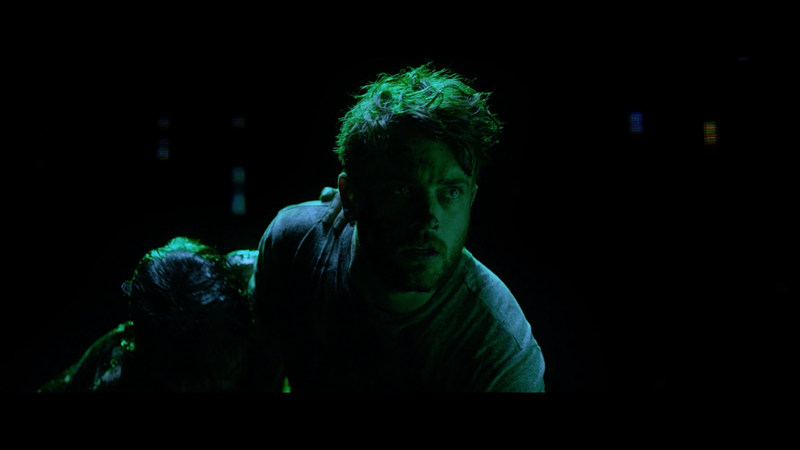 A reclusive video arcade repairman (Chase Williamson) experiences bizarre biomechanical mutations and Cronenbergian hallucinations when a mysterious new arcade machine appears in his shop. Reality itself threatens to fracture as the young man works to solve its mystery - and overcome the new chaos that has entered his life. Sequence Break is written and directed by Graham Skipper, known for his acting work in such celebrated genre films as The Mind's Eye, Almost Human, and Beyond the Gates - as well as headlining Stuart Gordon's acclaimed stage spectacle, Re-Animator: The Musical. Sequence Break stars Chase Williamson (The Guest), Fabianne Therese (Southbound), Lyle Kanouse (HBO's Big Love), and Audrey Wasilewski (AMC's Mad Men). You can read our review here. We had the opportunity to speak with Graham Skipper about the film. GS: I was a theatre kid growing up, and went to school for acting at Fordham University in NYC. But I've always been obsessed with movies - especially genre movies - and certainly always dreamt of getting to act in as well as create films of my own. TMS: What’s up with Sequence Break? Where can people see it? And what do you want them to know about the movie? 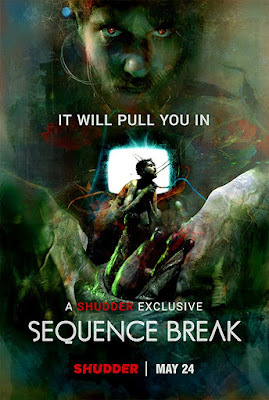 GS: Sequence Break is live on Shudder as of Thursday, May 24! The movie is a psychedelic, Cronenbergian trip down the rabbit hole as a reclusive video arcade technician is faced with impending love and a sentient video arcade machine. Biomechanical hallucinations and bizarre mutations abound! GS: Years ago I read online about an urban legend of an arcade game called Polybius, wherein the game mysteriously appeared in an arcade and caused players to suffer hallucinations, seizures, and even death. I couldn't crack the code on how to successfully tell that story, until a few years ago Oz's story of being caught between two competing passions popped into my head, and I knew it needed to be told through a body horror lens, and then all of these components sort of magically slammed together in my head. GS: When I wrote it, I was struggling in my own life with trying to balance my passion for acting and filmmaking, and my desire to be home and have a dedicated family life. It was those struggles that informed Oz's journey of feeling caught between two impossible choices, and needing to find a third option in order to survive and live a fulfilled life. GS: As I recall, I wrote the first draft pretty quickly, like in a few weeks. GS: The characters definitely got more developed with each draft, and the relationship between Oz and Tess became more alive and grounded. Also the logic of the final act became more solid and consistent. GS: With a story that plays with form and storytelling structure like this, it was mainly a matter of making sure everything was as clear as possible, and that amidst all the bizarrity that happens within the film, that the characters remained grounded and believable. GS: The works of Cronenberg were definitely influences - particularly VIDEODROME. Also David Lynch, and recent films like BEYOND THE BLACK RAINBOW, SPRING, TETSUO THE IRON MAN, and A FIELD IN ENGLAND. TMS: Is everything that we see onscreen essentially what was in the final draft or did it change during shooting? GS: Most of it was there in the script! There were some changes during shooting and even more changes during the edit, for clarity and pacing, but overall most of what was shot was there in the script. GS: It was a quick shoot, around 14 days. GS: Well, on this, Lynch and Cronenberg, certainly. I also looked at a lot of Japanese directors, specifically at how unafraid they are to really go for it in terms of visuals or making bold choices. 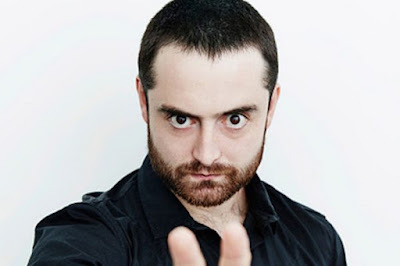 Also having worked directly with Stuart Gordon, his style was a big influence on how I approached creating the film. TMS: You worked with Chase on Beyond the Gates. Did his involvement come about from working with him in the past? GS: I've been a fan of Chase's work for years, and then getting to work with him and become good friends really sealed the deal. I saw how natural he was in front of the camera, and how instantly he was able to drop in very real emotions into unbelievable situations, and I knew he had to play Oz. GS: Well, Lyle - who plays Jerry - and Audrey - who plays the bartender - both produced the film with me and are both veteran stage and screen actors with credits a mile long, so it was a no-brainer to have them in the film! I was blessed with not only having the two of them make the film happen, but then to also both be excellent actors to boot was really a gift. Fabi of course had worked with Chase on JOHN DIES AT THE END, and I was a fan of hers from having seen several of her other films over the years, so when Chase suggested her for Tess we were excited for her to come in and read. She came in and read some scenes with Chase and totally nailed it! She was perfect. Then finally Johnny Dinan had worked with Lyle on another project and we had him come in and do some scenes and a monologue from the film for us. I'll never forget how intense and emotional that audition was. He was fantastic, absolutely blew us away. TMS: Can you talk a little bit about the score. How closely did you work with the composer on the score? GS: Van Hughes was my roommate in college and has always been one of the most talented composers I know, so I was thrilled when he agreed to come on board and score the film. I basically gave him a temp score that we used in the edit and then told him to use that as a guide, and he did just that! He absolutely slayed it - I think we had like 4 notes on the whole score when he first sent it in. He's brilliant and he and I have a real shorthand that made it super easy to make adjustments and get everything perfect. TMS: There is some wild body horror and special effects sequences. Can you tell us a little bit about how those ideas originated and how they were ultimately put together by the effects team. GS: Yes! Josh and Sierra Russell designed and executed the effects, and they really are a part of the soul of this film. I knew that a crucial aspect of telling this story was going to be the "lustful" encounters that Oz has with the game, and selling that. I wanted it both gross but also oddly sensual, all about slime and fluids and malleability. Josh and Sierra read the script and we sat down to meet a few times, and their instincts were totally in line with mine. We were all thrilled with how the effects turned out. TMS: Is there anything you learned from working on Sequence Break? GS: Really, so much of what I learned was in the difference between being an actor on a film and then being behind the camera. So much work goes into the creation of a film, from inception to post to film festivals to selling it to getting distribution...as an actor you're there for 4-6 weeks and then you're done, and the movie just kind of magically appears. I have a whole new appreciation for just how difficult it is to make a movie and get it in front of people, and feel that much more proud of how much literal blood, sweat, and tears went into this one to make something really special. I am also so indebted to the army that helped make this movie possible. My production team, the crew, the cast...everyone was so wonderful and supportive and really waded through the trenches with me to make this film happen, and I couldn't be more grateful to them. GS: Good question! VIDEODROME is probably the most obvious answer, but I'll go a little more left field and say...THE LAST STARFIGHTER. I always like double bills that are thematically similar but differ in tone, so I think the intense psychedelic mind meld that comes with Sequence Break, followed by something like The Last Starfighter would be really fun. And then go play in an arcade afterward! GS: I'm a huge fan of EVENT HORIZON, and I've always thought that movie could be updated in a cool way. So maybe that one! GS: I'm in a few films that are on the film festival circuit right now that folks should keep an eye out for: ALL THE CREATURES WERE STIRRING and DEMENTIA PART 2. Also newly on Shudder I was lucky enough to play small role in Ryuhei Kitamura's fantastic DOWNRANGE. And of course check out SEQUENCE BREAK on Shudder today!